Angeles City, Clark Air Base, Philippines. Goju Temple, Okinawa. Manchurian Comjuka Kempo. Grandmaster Rafael Reston is a retired member of the U.S. Army and one of the pioneers of martial arts in the Philippines. His first instructions in the art of self defence were from his father who was a practitioner of the Balintawak system of Arnis Kali Eskrima. His father was also in the U.S. Army, as a member of the 31st Infantry stationed in Manila, Philippines in 1934 when Grandmaster Rafael Reston was only seven years old. During World War II Reston watched his family burned alive when the Japanese poured gasoline in the cells of Intramuros. He escaped by jumping into the Pasig river. Before the end of 1942, Reston joined the guerrilla movement who was operating at the east central Luzon area. Reston survived the liberation of Manila by American troops in 1945. After Reston’s discharge from the Philippine army in 1945, he continue his training in eskrima, with his father’s old friend, Maestro Andres Montero, who was then a master of Sinko Tiro Balintawak Eskrima and one of the seven members of the legendary Pitong Lukban Estokada (seven Grapefruit Estokada society of Batangas). Reston trained with him until May of 1946, when he enlisted in the Philippine Scout (US Army). After his basic training, Reston was stationed in Okinawa as a military police officer. Because of the occupation of Okinawa and Japan, the practice of Martial Arts was banned and all martial arts schools were closed. Reston’s Military Police company hired a karate instructor (Kempo Master) by the name of Horito Yamamoto (a 72 year old Manchurian born Okinawan) to train the military police the art of self defence. The Military Police were trained the art of Kempo Karate together with the American's of the Strategic Air command. Because of Reston’s experience he was rated as an advanced student and promoted to the rank of 1st degree black belt. Reston could not satisfy himself with 3 days a week training. Reston requested to have a six days a week training and because of being an advanced student, Master Yamamoto granted his request. October 1947, Reston represented the Philippine Scout and his Kempo school in a karate championship tournament that was held at Ituman base, Okinawa. Reston won the championship and was rated the first Filipino karate representative in Okinawa and was also promoted to 2nd degree black belt. 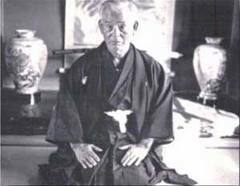 January 1948, the army sent Reston to Kobe Japan for a four month seminar for proper method of teaching at the Isshinryu (formerly Kobayshi ryu) under grandmaster Tatsuo Shimabuku (Shimabukuro). April 1948, Reston returned back to Okinawa, Reston studied Shorin-ryu under grandmaster Hohan Soken and Fusei Kise, assistant to the Grandmaster). September 1948, Reston was sent back to the Philippines and was appointed chief instructor of both karate and eskrima at the 515 and 738 Military Police battalion (US Army). February 1949, Reston was appointed official representative for the Philippine Okinawa Ryukyu command Semi Olympic tournament. At the Armed Forces western, Pacific Command (AFWESPAC) held on Guam Marianas islands, Reston won the karate event in his division and was promoted to 4th degree Black belt. April 1949, Reston received an honorable discharge from the US Army. 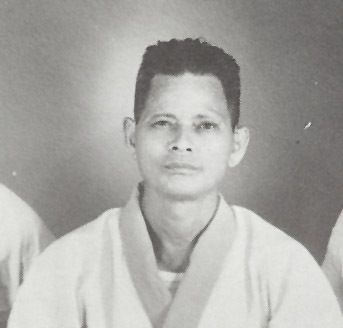 Following Reston’s discharge from the U.S. Army in 1949, he continued his training while at the same time he taught Karate and Eskrima in some private schools. In 1961, Reston was promoted to 5th degree belt by Grandmaster Kunio Miyamoto of the Okinawan Goju-ryu Temple. In 1966, Reston was promoted to 6th degree black belt. In 1967, Reston founded the Manchurian Judo Karate Club, also known as Manjuka, in Angeles City, Philippines. Most of the students were U.S. Military stationed at Clark Air Base. Meanwhile, he never stopped training and participating in various Karate tournaments. He also changed the name of Manjuka to the Judo Karate Masters Kempo Association (Comjuka Kempo). Its permanent training centre is in Balibago, Angeles City, Philippines. 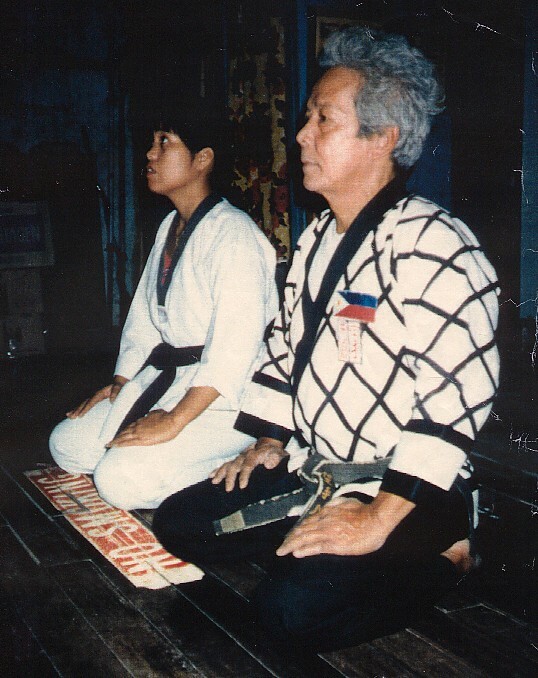 In 1970 to 1974, Reston trained in Sinko Tiros Grandmaster Francisco Viray (Apong Viray) of Pampanga. From 1975 to 1978, he trained under Grandmaster Ponciano Aimurong, who was then 83 years old, a master of Sinko Tiro Sinawali of Bamban Tarlac. 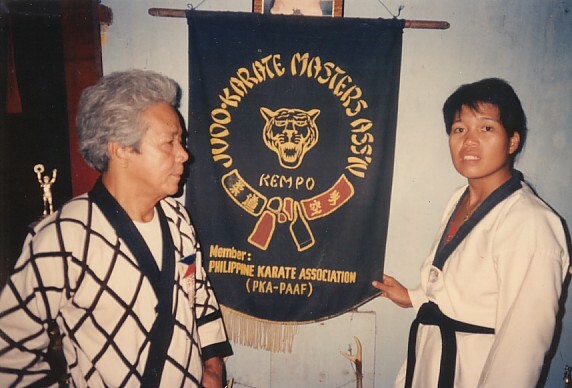 On the 10th of September 1972, The Judo Karate Masters Kempo Association was recognised by the Government of the Republic of the Philippines with the Securities and Exchange Commission. Registration #48779. Grandmaster Reston was promoted to 8th degree black belt in 1975 and in the following year he was appointed by the president of Philippine Karate Association, Coronal Dante Q. Nagtalon to coach the Central Luzon team which participated in the 1976 Philippine National Karate Championships. The American Martial Arts magazine, BLACK BELT, issue released in December 1979, featured an article titled "Karate in the Philippines, A Joint Effort". This article was based on the efforts of Grandmaster Rafael Reston and Kuntaw Kung-fu master Carlito Lanada and their efforts through Martial Arts to create a friendly relationship between the American Service Personnel based at Clark Air Base and the local Filipino community. The article also mentioned their efforts through the Philippine Karate Association to stamp out corruption in Martial Arts in the Clark Air Base region as some instructors at the time were selling black belt ranks to Americans who had not put in the effort and were not deserving of the black belt rank. Grandmaster Reston has also been the recipient of the Pioneer Award from the Ministry of Youth and Sports Development, Philippines. In June 1991 the volcano, Mount Pinatubo, had a massive eruption causing mass destruction of Angeles City and Clark Air Base. Due to the destruction of the Air Base the United States Air Force closed down the base and evacuated never to return. Grandmaster Rafael Reston left the Philippines and resided in Hawaii from 1992 to 2000 where he taught Eskrima in Honolulu. In 2000 Grandmaster Rafael Reston returned to his beloved Angeles City, Philippines. 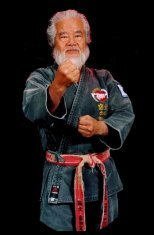 Grandmaster Rafael Reston had retired from teaching Martial Arts due to serious illness (emphysema) in 2003/04. 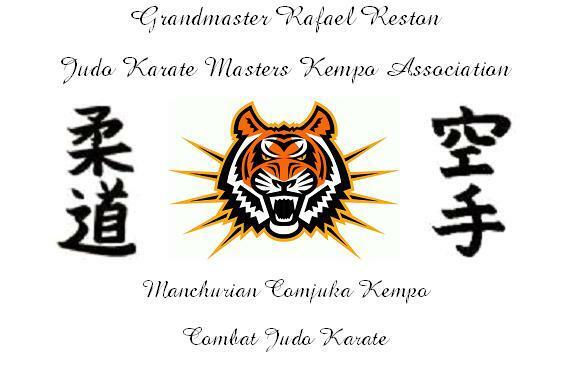 Grandmaster Rafael Reston passed away in August 2006. The letters in the circle stand for the unity of all styles of Martial Arts and Self Defence. The red and black belts knotted together stand for mental and spiritual understanding are finally merging into one. The black belt symbolises that the student has found the physical attributes which is equal to the spiritual aspects of the Martial Arts. When this state is achieved the Martial Artiste can now be termed to be a true beginner. The red belt signifies the complete transformation of the Martial Artiste and it is a symbol of the inseparable fusion of mind and body. The face of the tiger symbolises superiority as the tiger is the king of all the cat species. The tiger's eyes signify bravery, the teeth and claws signify its shield of protection against danger, and initiated into action if forced to defend one's self.